Glitter: it becomes an obsession at a young age, but does the love affair with the sparkly stuff ever end? Absolutely not! 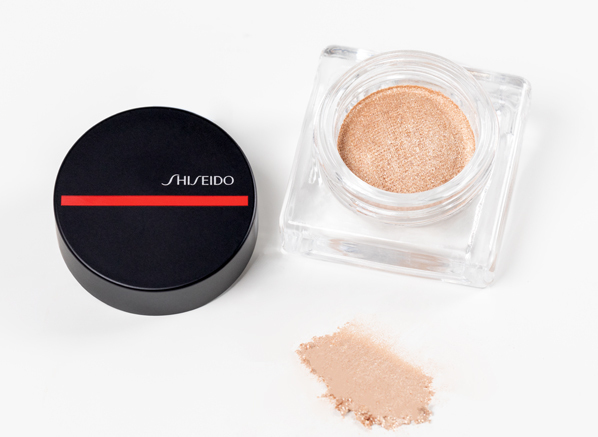 For those that prefer a subtle shimmer, Shiseido Aura Dew is a must-try. This 12-hour wear glitter eyeshadow is a cream/mousse hybrid that highlights the eyes with Japanese pearls of all different shapes and sizes for the ultimate glow. The best thing about Aura Dew? You can apply it with your fingers in a rush and the fall out is non-existent. The formula stays put, and the inclusion of Clarity Matrix (stronghold polymers) in its base means you can forgo an eyeshadow primer – it’s the easiest way to look super glamorous when you have minutes to spare. Top tip: Apply Aura Dew to the tops of your cheekbones, the bridge of your nose and your cupid’s bow to create the perfect radiance. 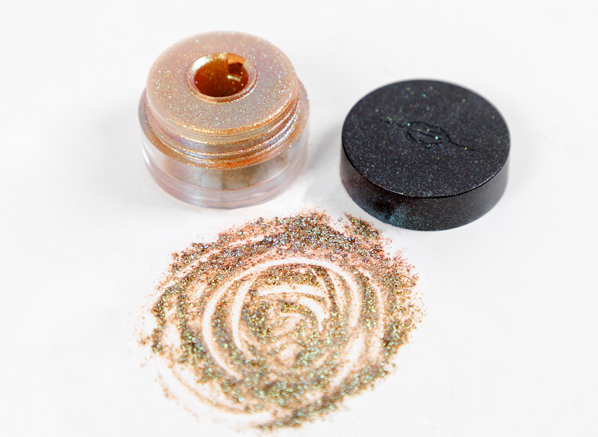 If you like your glitter to be bold you’ll love this gold glitter eyeshadow from MAKE UP FOR EVER. Unlike Aura Dew, the Diamond Powders are loose pigments. Each colourway contains 99.9% mother of pearl, so you can only imagine the shine, on and off camera! 109 Golden is one of those shades that looks incredible on everyone. Enriched with a multi-tonal shift of yellow gold and bronze, you can wear this colour all over your lids, on the bottom lash line or in the inner corners of your eye to highlight. So how is the best way to apply loose glitter eyeshadows? To avoid the mess and fallout, start by priming your eyes with a concealer or eye primer, then pat on the colour with a flat, eyeshadow applicator to pack on the colour. If you still don’t feel confident, keep a tissue or cotton pad handy. Fold it in half and hold it underneath your lower lashline, whilst you apply to catch any loose glitter. Top tip: Spray your brush with Urban Decay’s All Nighter Spray to make your glitter stick to your eyelid (this also intensifies the shine of loose glitters). By spraying your brush, nanoparticles are attracted to your brush, making sure the majority of shimmer ends up on your eyes and not all over your face. You don’t have to apply glitter all over your eyes to sparkle this season. Urban Decay’s Heavy Metal Eyeliners strike the perfect balance between subtle and show-stopping. 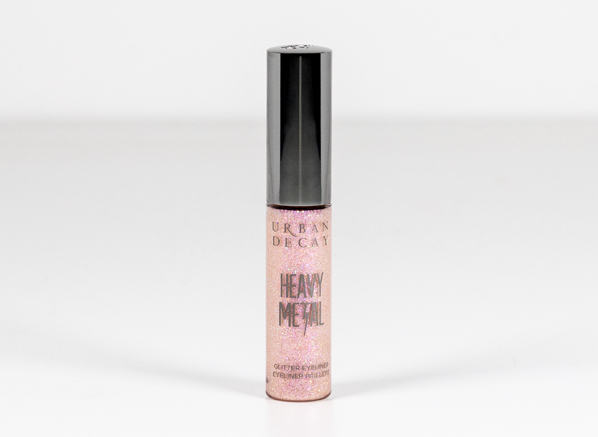 Although the Heavy Metal Eyeliners are labelled eyeliners, they are the ideal option for glitterphobes as they don’t make a mess and you won’t believe their versatility. 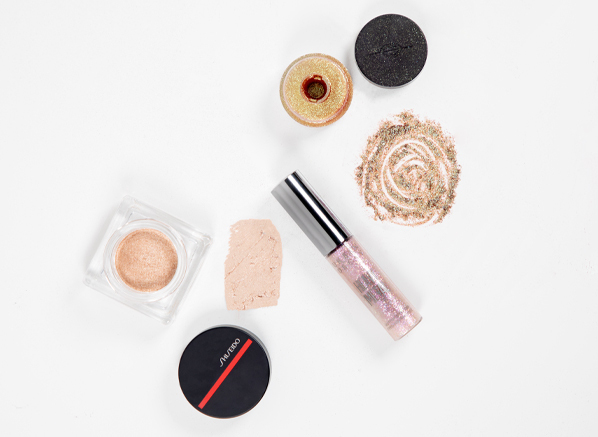 Choose to use them all over your eyelid as a liquid glitter eyeshadow or layer the gel over the top of your favourite eye colour to create the shimmer eyeshadow of your dreams. My preferred way to wear the Heavy Metal Eyeliners is to apply them over the top of my black eyeliner to create a double liner. Top tip: When applying a glitter gel or liner, always look downwards. Try not to blink and wait a few seconds before looking upwards; this allows the shimmer to set in place and last longer on the eyes. This entry was posted on Friday, December 14th, 2018 at 5:49 pm and is filed under Get the Look, Make-up, Tried & Tested. You can follow any responses to this entry through the RSS 2.0 feed. Both comments and pings are currently closed.